China is “upgrading” its military theater command that covers operations at or near its border with India as it prepares to confront and repel “any threat” from the south, a Chinese armed forces specialist told the communist nation’s propaganda newspaper the Global Times. 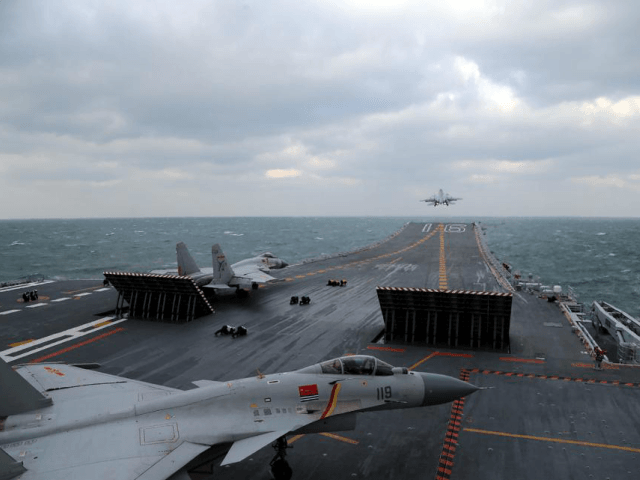 “With India importing new jets, China will continue strengthening its fighter jets in the Western Theatre Command,” which is in charge of Chinese military operations in and around India, Song Zhongping, a Chinese military expert, told to the Global Times this week. “Considering that India possesses 3rd-generation fighter jets, China’s stationing of its 3.5-generation jets would be able to deal with any current threat from India,” added Song. Echoing the American intelligence community, U.S. Pacific Command (PACSOM)—charged with American military activity in the Asia-Pacific region that covers China, India and other countries—recently warned that tensions are building up between the historical rivals in the region, noting that Chinese military capabilities would soon challenge America’s dominance while highlighting the importance of the U.S.-India alliance. China is upgrading its Western Theater Command in order to confront any threat from India, a Chinese military specialist said after photographs of a J-10 jet flying over the high-altitude plateau in western China were released by the People’s Liberation Army (PLA) during the Spring Festival holiday. The pictures posted on the English version of the PLA website show a J-10 fighter jet and J-11 fighter jets conducting aerial combat training exercises in Western China on February 13, two days before Spring Festival. The jets are attached to an aviation brigade of the air force under the PLA Western Theater Command, the post said. The LoC separates the portions of Kashmir controlled by India and Pakistan. Last year, China’s decision to deploy troops to accompany workers seeking to extend a road into the Doklam region triggered a nearly 70-day standoff between the two nuclear-armed rivals that ultimately ended peacefully. However, clashes may potentially erupt once again over China’s reluctance to abandon its project to build a road on the Indian side of the two countries’ international boundary. Unlike other countries in Asia, India has refused to be part of China’s ambitious multi-trillion dollar One Belt, One Road (OBOR) project, also known as Belt and Road Initiative (BRI), expected to create a network of land and sea links connecting Xinjiang, China’s Muslim-majority province, to more than 60 countries in Asia, Europe, the Middle East, and Africa along one route. Beijing is looking to extend the project to the U.S. backyard, Latin America, to the dismay of the American military. China has allegedly beefed up its military presence near Doklam. Beijing kept about 1,000 Chinese troops in the region, to the dismay of India, after the clashes between the two nations deescalated.